The seat Cana is braided by hand from caña flecha, a natural material which is obtained from the palm type of the same name. 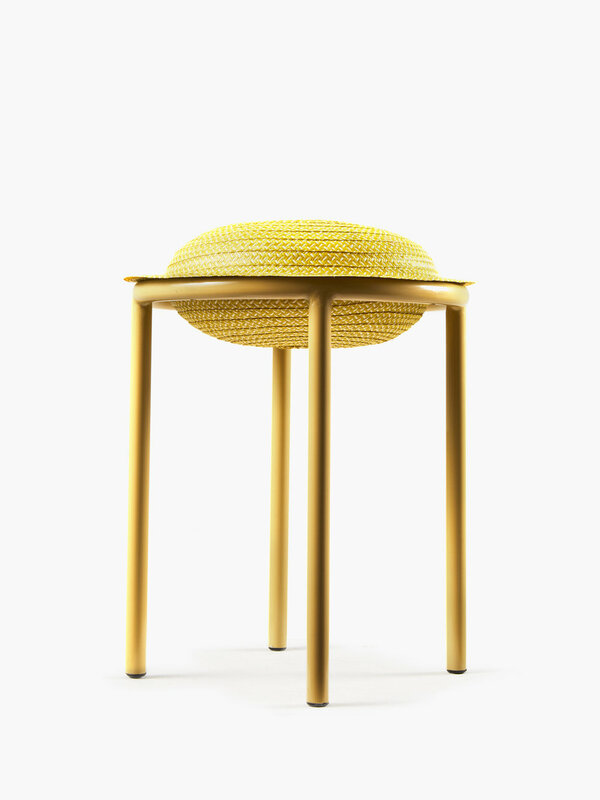 The frame of the stool is made of powder-coated steel. 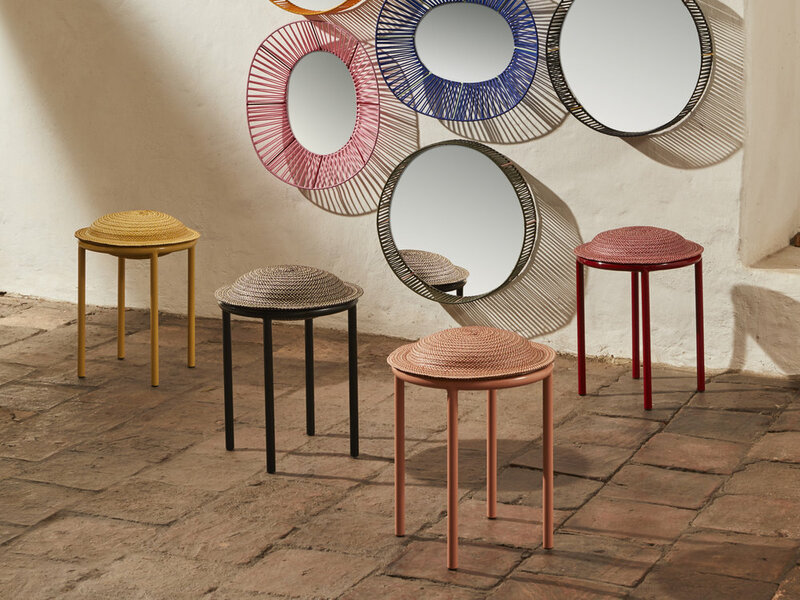 Its variety of colours in combination with the particular manufacturing technique makes the cana stool a nonchalant fashionable piece. It is currently available in four vibrant colours and made in Colombia.